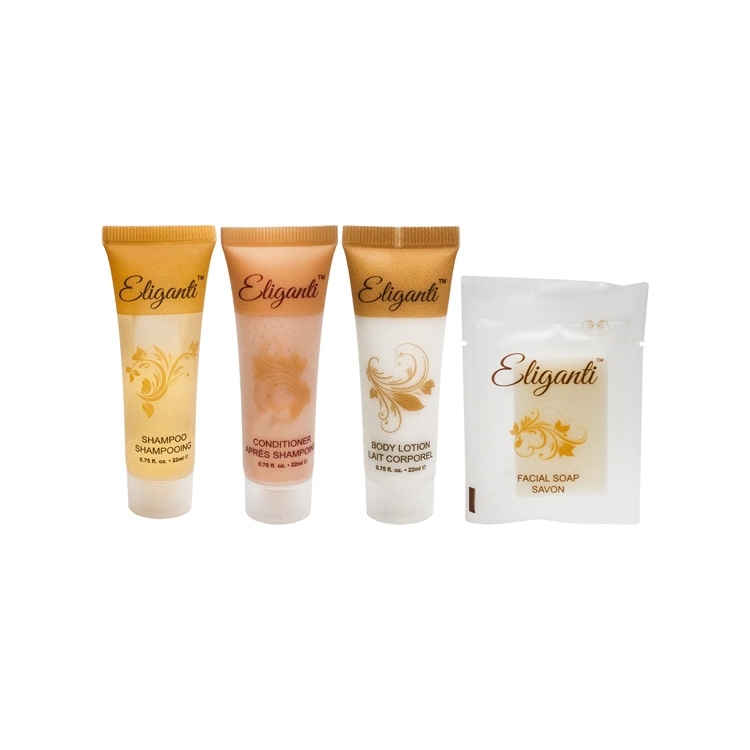 Amenity Group includes Eliganti 0.75 oz. Shampoo , Conditioner, and Body Lotion. 0.5 oz. facial bar , features light fresh citrus fragrance. Shipping Weight: 50 units = 35 lbs. Shipping Weight:400 Units: 33 lbs.